Situated in Butterworth, this hotel is 1.6 mi (2.6 km) from Sultan Abdul Halim Ferry Terminal and 2.7 mi (4.3 km) from Ninth Emperor God Temple. Penang Bird Park and Sunway Carnival Mall are also within 6 mi (10 km). Along with a meeting room, this hotel has concierge services and a front-desk safe. Free WiFi in public areas and free self parking are also provided. All 54 rooms offer free WiFi, room service, and flat-screen TVs with satellite channels. Guests will also find coffee makers, free bottled water, and showers. 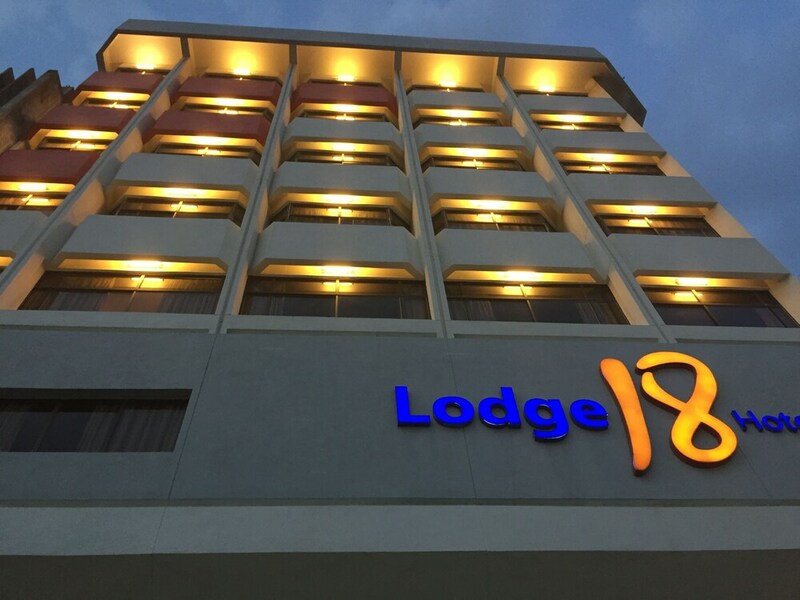 Lodge 18 Hotel features concierge services, room service (during limited hours), and a safe deposit box at the front desk. Wireless Internet access is complimentary. Onsite self parking is complimentary. Lodge 18 Hotel has designated areas for smoking. Rollaway/extra beds are available for MYR 58.00 per night.